Many TDS customers in rural America from time to time experience telephone calls not getting through, or the call quality is poor. These troubles are caused by intermediate carriers using “least cost” routes across the vast national telecom infrastructure to try to save money—because making a more direct connection can be more costly to complete. 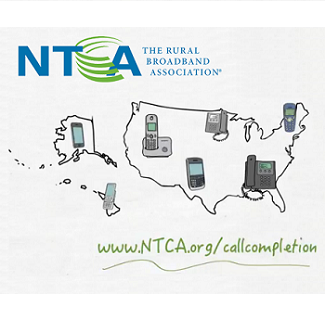 Not being able to place or receive phone calls greatly weakens the reliability of the telephone network and threatens the safety, commerce, and peace of mind for rural citizens. Prompted by rural telecom carriers and trade groups, Federal lawmakers emphasized the benefits (to consumers) of bipartisan rural call completion legislation. Action was taken in September when the U.S. House of Representatives Commerce Committee passed bill HR 2566. The bill was introduced by Rep. David Young (R., Iowa) and Rep. Mark Pocan (D., Wis.) and soon moves on to the full House of Representatives for further consideration. HR 2566 would amend the Communications Act of 1996 to require third-party intermediate carriers that route long distance voice calls—for example between parties for providers such as AT&T, FairPoint and Sprint—to register with the Federal Communications Commission (FCC). More, the bill would prohibit the use of any intermediate provider that fails to register with the Commission. A database of registered intermediate service providers would be maintained by the FCC and published on its public website. The bill doesn’t end there—it would also require the FCC to establish service quality standards for intermediate service providers. This would be to “ensure the integrity of voice service communication and prevent unjust or unreasonable discrimination among areas of the United States,” a subcommittee summary of the legislation noted. The legislation would give the FCC 180 days to issue rules to establish a registry of providers, and one year to establish service quality rules. There are still several hurdles ahead to see our way to this issue becoming law, but TDS remains hopeful Congress will do the right thing before it adjourns at the end of this session.